A year ago, the parking lot at Kent Hillside Church was just that — a parking lot, with moss growing on the cracks and an almost constant stream running along the bottom of it. Today, it is hard to picture what it used to look like. It is now home to 50 garden plots, four cisterns, a tool shed and blossoming community. The Hillside Paradise Parking Plots garden is the result of partnerships, volunteers and vision — all led by World Relief Seattle, an immigrant and refugee resettlement organization. 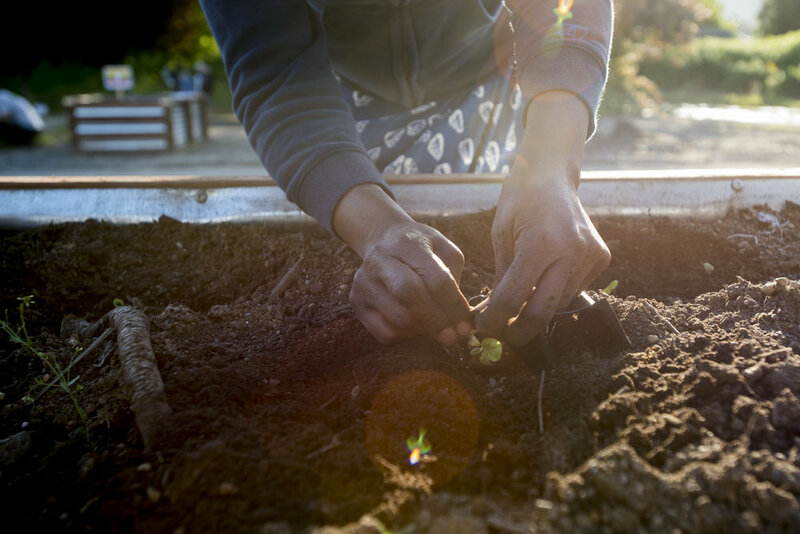 Tahmina Martelly, resiliency program manager at World Relief Seattle, says the project set out to do one thing: benefit people at the most basic level — a place to grow food. Living in apartments in a relatively dense urban environment offers little connection to the soil or a chance to grow food. If you visit Hillside Paradise Parking Plots in the next few months, you might be greeted by one of the site’s youth interns. With support from The Nature Conservancy and in partnership with local organization Sustainability Ambassadors, these interns are working with World Relief Seattle to learn the ins and outs of this project to help tell the story to the broader community and even their fellow students. They got started with tours on May 9 as part of the Grand Opening Celebration. Right now, they are dreaming up more ways to share this story — including signage that greets you when you walk in and a virtual tour that you can view from the comfort of your own home. Recently, these youth worked with Sustainability Ambassadors and local business Stone Soup Gardens to present to middle students at Mill Creek Middle School about the project — and how it is going to manage stormwater through cisterns and a rain garden. Some teachers at Mill Creek will be using the garden as a hands-on site for their students in future years. Students are also shaping the different features on site, ensuring it serves the different needs of the community. First up is the site’s rain garden. This rain garden will be capturing polluted stormwater runoff from the adjacent parking lot and local roads to reduce some local flooding concerns as well as reduce impact on the raised garden beds and the level of pollution entering local waterways. Students took all of this into consideration when they were designing the rain garden — while thinking about the broader purpose of the project. Words like “reclaiming home” and “relaxation” were used when describing this garden. These words, as well as their opinions on specific plants, were carried into the actual design of the rain garden. The hope is that as they return to the site, these students will see themselves reflected in the project. This rain garden is out of the ordinary for many reasons. For one, it will be a green infrastructure installation in the city of Kent, serving as an active educational demonstration and as guide for future green-infrastructure projects. Green-stormwater features like these are essential in rapidly urbanizing cities like Kent to reduce impact on the local waterways. This rain garden will reduce local flooding and, ultimately, stormwater impacts on the Green River. In addition to the being the first, it will stand out simply because of its size. This rain garden will be managing more than 90,000 square feet of stormwater runoff from the additional parking lot and neighboring streets. This gives a good amount of space for the designers to be creative with plants as well as adjacent features. This garden will also continue the theme of addressing the project’s goal in the first place: food. Stone Soup Gardens, the landscape architect business behind the design of Hillside Paradise Parking Plots, specializes in incorporating edibles into rain gardens, adding to the many benefits these green stormwater features already provide. This project started with a strong partnership: World Relief Seattle and Kent Hillside Church. These two organizations had partnered before, with the church offering space for classes offered by World Relief Seattle. With this as their foundation, the organization took a big step: providing its parking lot to serve as home to the garden and enabling its kitchen to be transformed into a commercial kitchen for micro-enterprise. Stone Soup Gardens has been there from the beginning, working on the overall design of the garden, supporting the rain garden design and coming up with the name for the project! Construction for Change worked with the project to engage a large amount of in-kind support — including the labor and machines that made the transformation possible. Plumbers Without Borders and the local plumbers union installed the irrigation for the plots to access the water from the cisterns. King Conservation District, King County Water Works and The Nature Conservancy all provided funding support to the project — and have been involved in different ways throughout. The most important partners in this endeavor, though, are the urban farmers who will make this garden come to life — and will be the stewards for the long term. These farmers come from all over the world, bringing different experiences and different foods into the garden. The apartments many live in offer little connection to the soil and a chance to grow food. It is especially difficult to find culturally appropriate fruits and vegetables in the local grocery stores. This garden is changing that reality for many. Freight driver by day, dairy farmer by… day. Meet Paul along with his 20 Jersey cows and learn about the 100 year legacy of the Fantello farm. From nursing people to nursing cows, Ben Smith has done it all. See how he runs his 400 dairy cow operation with a warm smile and passion for environmental stewardship. Dungeness Valley Creamery isn’t your average dairy. 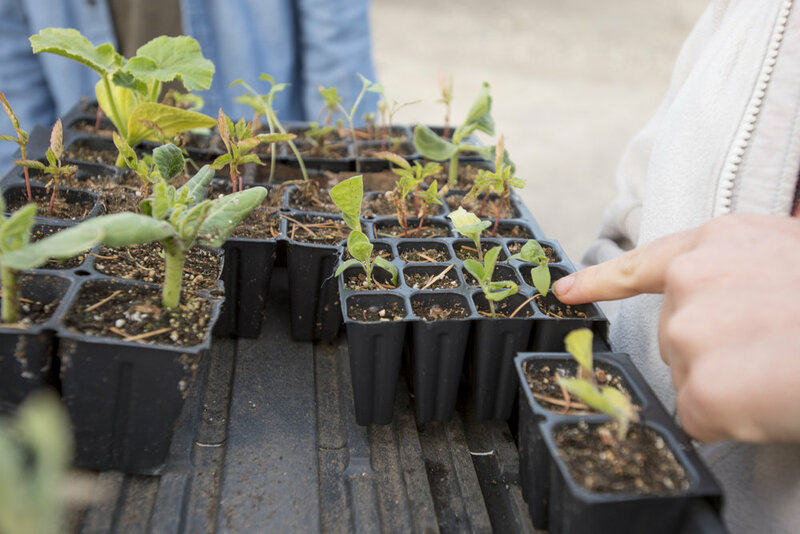 Check out the incredible technological installments the McCarthey family has to help them grow their operation while also being stewards of the environment. Tory Kowalcyzk understands the importance of knowing where your food comes from. Learn more about how Tory combines his passion for community building and environmental stewardship with his cattle ranch. Santa and Elizabeth worked their plots together — prepping them for the different plants that will soon be growing. The smile on Brenda’s face is evidence of how excited she is about her plot. “The garden is where people unite together,” Beatrice says. "It provides space for people to connect and talk to each other."